Are you ready? Us neither. Let's make the best of it and keep believing, mining and sharing the magic. Let's face 2017 together - up that glass mountain folks! Russian vintage New Year's postcard. Artist Konstantin Bokarev. 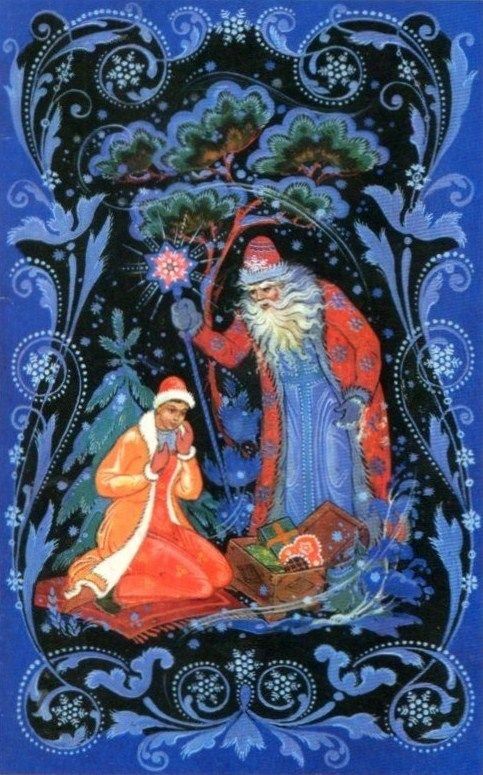 Ded Moroz (Old Man Frost; a kind of Santa) gifts a box with treasures to the good girl named Nastenka. 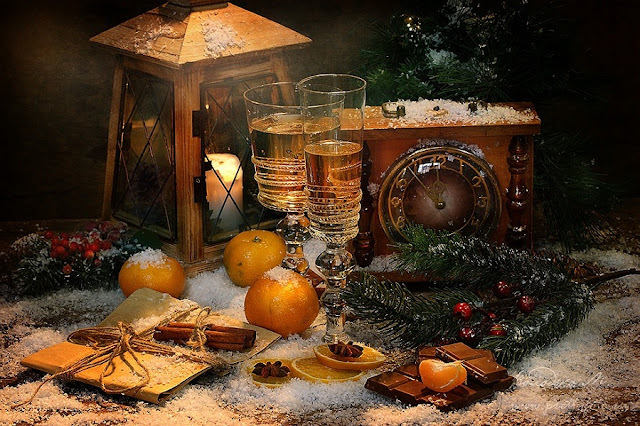 PS If you're looking for some wonderful seasonal reads, check out Timeless Tales Magazine's new Snow Queen issue HERE, and our friends at Enchanted Conversation have just released their New Year's issue HERE as well.